You are now one step closer to building a better aquarium! 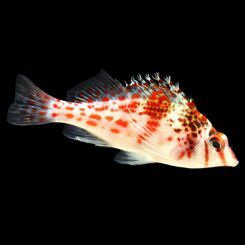 This page is packed with helpful tips and secrets that will enable you to become a better aquarist & fishkeeper. We’ve already made all of the mistakes and have learned from them, now, we are handing you the answers on a silver platter! You can take our advice and succeed, or you can go somewhere else and take your chances, but whom better to go to than a successful commercial grower! We have absolutely nothing to gain by giving out poor advice. Our tips are backed by our own years of professional experience, not to mention our mentors that have been in this hobby 50+ years! We have streamlined and perfected many aspects of this industry throughout the years, so if you fail, then we have failed. 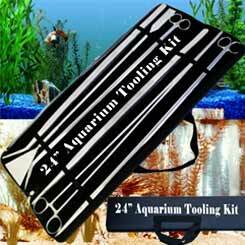 Our own hands-on experience now takes the guesswork out of building an awesome aquarium. Our company has pioneered some special techniques and strategies that have proven to work for us and will work for you too! We have been a threat to our competitors for over 2 decades because of our success growing plants & animals that no one else could grow. 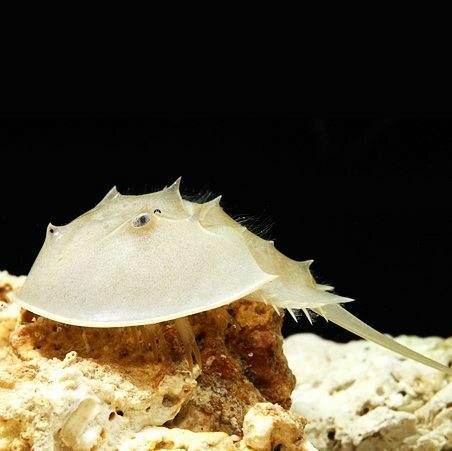 Although there are still some very good websites out there that can help inform you about building a tank the right way, our tips herein will help put to rest the many wives’ tales that promote building an aquarium the wrong way! This advice costs you nothing, but your time. 1. 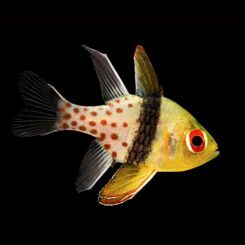 Painting the back of your tank – This is a simple trick to hiding wires from lights, or hanging filters, etc, through the back glass. This creates a clean look and you can choose a multitude of spray paint colors. We favor flat black or dark blue. Flat paints will dry quicker, and will always appear shiny on the other side of the glass. Start with an empty tank! Begin by taping the top and bottom trim of your tank. This is usually a wood grain or black plastic trim, if applicable on glass tanks, as some acrylic tanks do not have any trim. Use masking tape and newspaper to mask the entire tank: sides, front, top…. leaving the outside of the back glass exposed as this is the surface you will be painting. You should use some rubbing alcohol or Windex to clean the glass thoroughly. Now lightly dust the glass with your spray paint choice and allow to flash. (flashing is a painter’s term where you allow the very initial coat to dry to a tacky state), usually about 1 minute, then add another heavier coat, but not drenching. Allow to flash for a couple minutes, and repeat until you have completely covered the glass. Allow to dry for about 15 or 20 minutes and carefully remove all tape and newspaper. That’s it! You’re done. If you managed to get any overspray on any of the other surfaces of glass, now is a good time to get it off with rubbing alcohol. You can tell if you have overspray on the other surfaces by simply running your hands over the surface. If it feels like you have overspray on it, you probably do. Now, we know it’s a pain to paint your tank, but you’ll really appreciate having the back of your glass painted later! The alternative to painting are plastic laminated backgrounds which come in an assortment of colors and photos and are less permanent. 2. Lighting– This is a crucial step in building a successful tank. 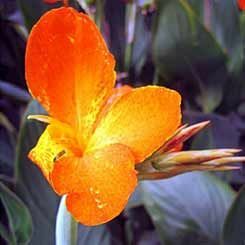 Whether you are planning on having plants, and what types of animals you want will help determine your choices and bulb selections. Budget is usually the first factor with most of us. The most affordable fixtures use T-8/T-12 bulbs but these are now obsolete and make no sense to use. The next more expensive fixture is Power Compact but so are PC Bulbs, getting harder to find the bulbs for sale. Although you may find a PC Fixture for a reasonable price, the cost to replace the bulbs will hurt your wallet. The High Output T-5 fixtures are the most expensive, however T-5 bulbs are actually more affordable than all others listed above! So you may pay more for T-5 fixtures, but they are more energy efficient, and in the long run will cost you less! A few tips on getting the right lighting is Number 1, if you are building a Freshwater tank, you should refrain from having any 10,000Kelvin bulbs. 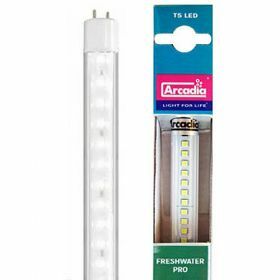 10K bulbs are for Marine/Salt water aquariums and have absolutely no benefit for freshwater except they will offer nice white aesthetic lighting which may compliment 6500K lighting. 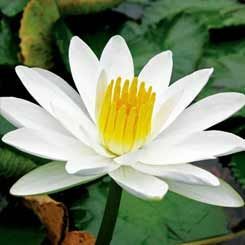 6500K light bulbs are the most ideal bulbs for all freshwater life (6000K – 6700K are fine) especially for ideal plant growth; however, it tends to emit a yellow tinged light that is not aesthically pleasing. Lastly, LED lighting has taken this hobby by storm since 2013 and since then has not only dropped in price, but quality of ED light improved dramatically. Most fixtures will pay for themselves in just 1 year of use in the savings of power, no heat output, and still offering outstanding growth. One of the best fixtures we have found is the Current USA Satellite Plus and Plus Pro fixture that offers a plethora of lighting options including simulated thunderstorms, overcast days and more, all at the touch of a remote. LED Light bulb life should last you about 20 years without any need for replacement, and 1/10th the power output!. Light Bulb Life – regardless of the type, brand or color index need to be replaced every year whether they are still working or not. After 1 year of burning 12 hours per day, they may still be putting out aesthetic light, but the beneficial UV/UVB rays are no longer emitting! (LED Lights are excluded) Take a black sharpie marker and write the date you installed the bulb into your fixture right on the end of the bulb so you can keep track of when it expires. 3. Substrate – There’s a lot of substrates to choose from! Before we begin, if you are thinking about using florescent colored gravel, please stop. This is a terrible 1970’s way of building a tank, and it’s high time to move past that era of tank building, and create something that is elegant, natural, and in good taste. Let’s start with the “sandy substrates”. These can build up harmful gases and bad bacteria, so if you’re planning on sand, make sure you use substrate burrowers for your sand as they will keep it turning, and prevent those gases from building up! Kind of like an earthworm’s purpose in a garden. 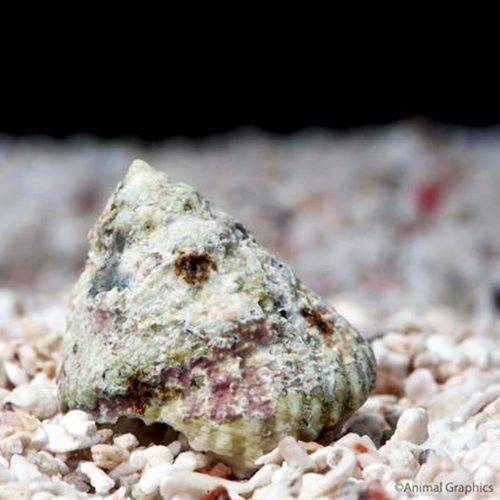 Animals like Freshwater Clams, Malaysian Trumpet Snails, Eels, Loaches, and even Olive Algae Eating Nerite Snails will burrow down and eat detritus, and other micro-organisms. CaribSea Eco-Complete came out years after Seachem introduced their line, and are great as they already have beneficial bacteria in them, and you simply cut the bag open and install….no prewashing required. 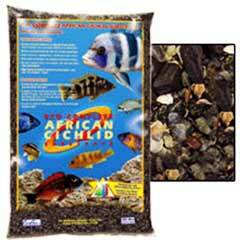 CaribSea has a huge line of substrates that will please anyone’s tastes, including a nice assortment of cichlid gravels. Take your time when selecting substrate choices. 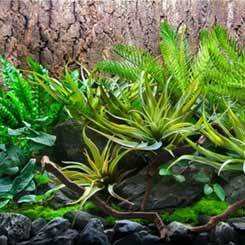 Contrast a base color, and then make a river or washway with another substrate or use large stones to create depth! 4. 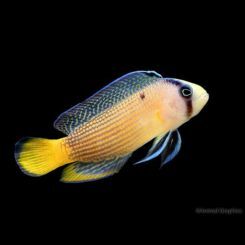 Filtration – Typically underdone or overdone in this hobby, you should always look at the GPH of a filter and make sure your tank is turning its entire volume over at least 4 to 5 times per hour! Hang-on back (HOB) filters are great for instant clarity, but will require more maintenance and cleaning, we like to refer to HOB Filters as Final Polish Filters. Canister filters are fantastic, especially for long-term build up of beneficial bacteria. Good ceramic or plastic type media will be essential for these bacteria to grow. Most canister filters will be cleaned about 1 time every 3 months, maybe even as long as just a couple times a year! Do not replace filter pads or ceramic media in your canister filter unless absolutely necessary. Simply rinse them out and put them right back into the filter. We surely have 15 year old ceramic media in some of our systems here and are working great. 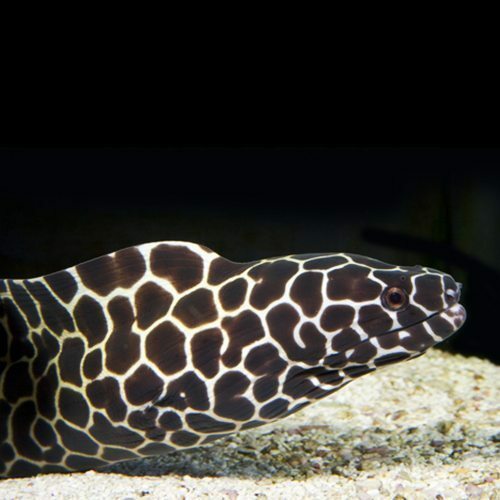 Choose brand name filters you recognize such as AquaTop, Hydor, Fluval, Eheim, Marineland, Hagen AquaClear, as many of the no-name brand filters will not last, or getting replacement parts may be difficult. Canister Filters should have some BioChem Zorb or Chemi Pure pouches in them in lieu of using Carbon, because it’s just so much better than carbon. 5. Decor – This is a fun step in putting your tank together. This is the part where we get to pick out wood, rocks, or the scuba dude! Okay, not the scuba dude! We are building a natural aquarium remember! ?…and there’s nothing natural about plastic toys that you found at the pet shop, and this includes fake rocks or fake wood. If it really brings you joy, then buy them, yes even your scuba dude with the plastic knife in his hand. After all, this is YOUR tank, and honestly, YOU need to be happy in the end. (Ahh, simple pleasures!) BUT, these are just not practical for an elaborate natural aquarium. 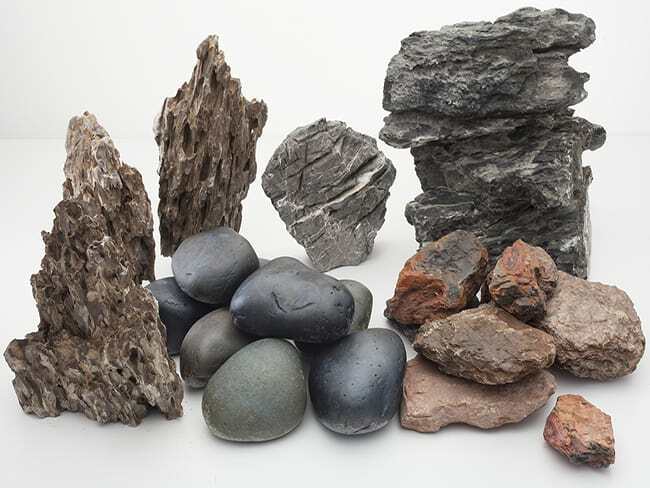 You’re better off going on a treasure hunt in your own backyard for pretty rocks that can be used in your aquascape. 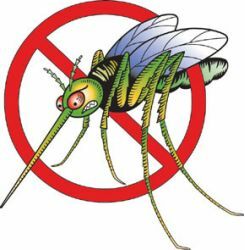 Be careful if you spray weed killer or pesticides on your property as this will get into your tank and wipe everything out. That is where boiling things come into play. If you’re certain the items you found are free from harmful contaminates, then a simple washing off under hot water to get the coyote pee off will suffice. 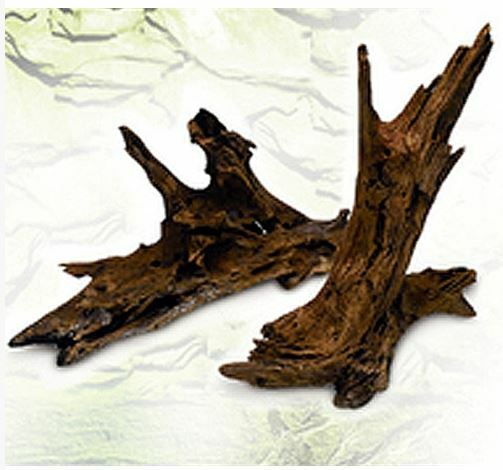 Using driftwood or rocks to dam areas or create a terraced dimension will make your tank look amazing! Creating many focal points of interest will create “a story” inside your tank. The days of building a tank with a boring monotonous 2-inch layer of gravel is just a thing of the past! Create pockets that may have substrates 5 or 6 inches deep, and dammed with rocks or wood, create pathways or roads with rocks or wood. Use your imagination! 6. 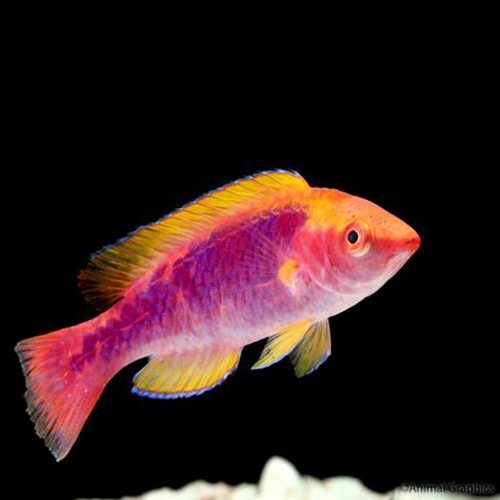 Aquarium Salt – Let’s begin with the basics. 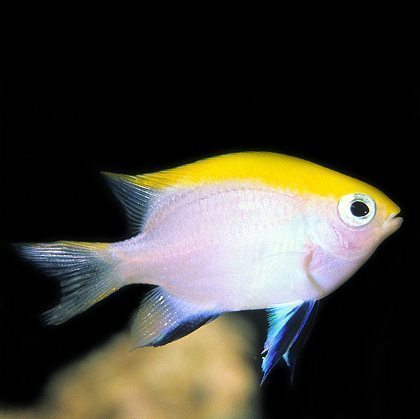 You should use Aquarium Salt in all freshwater tanks. 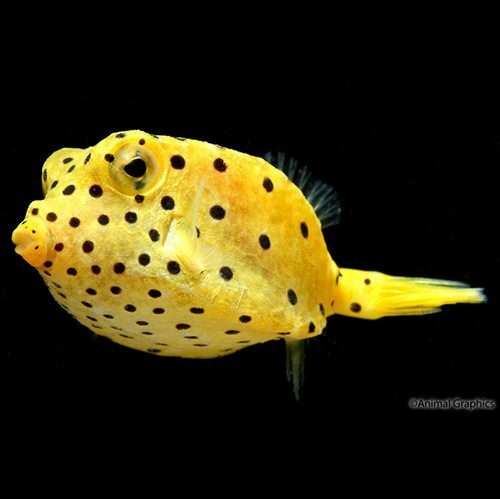 No, you are not creating a saltwater tank or even a brackish environment by adding in aquarium salt. To create brackish water you must use Marine Salt. 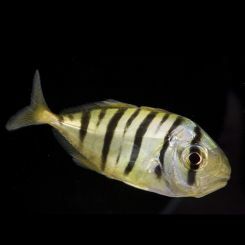 Brackish tanks need 1-2 tablespoons of marine salt per gallon of water to achieve this. 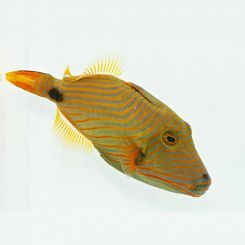 Now Aquarium Salt (or Pure Kosher Salt only, as it is the same, use caution using Kosher Salt if it has anti-caking agents) is extremely effective in fighting disease, bad bacteria, promoting healthy gill function, replacement of electrolytes in freshwater animals, curbs some algae growth, helps to create vibrantly colored aquatic animals and more! The technique we have used here is adding aquarium salt in a sporadic form. This is a technique that can be argued by the elite of over-educated scientists, but it has worked for us for 3 decades, and we aren’t about to change it. 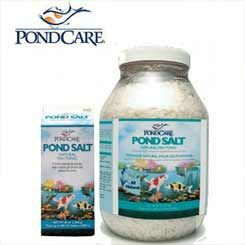 Ask any ‘successful’ retired fish grower or pet store owner if they use/used aquarium salt in their systems and the answer will always be, “yes”. The techniques may be different, but they all use it. Consider it as Gatorade for your fish! A couple times per year is a good idea, NOT monthly! WHY the sporadic salt ratio? If you always use the exact same amount of salt, it is our belief that disease and bad bacteria build up a tolerance to a regular dose of salt, almost like taking a pain reliever every day just for the heck of it, but then that one day when you really need pain relief, it won’t do anything because your body has then built up a tolerance to the drug. This is the premise of why we change our salt ratio. This trace amount of salt will not hurt your plants and will only help your animals stay healthy. We have perfected this technique for years. Figure out your dosing based on your tank and what is stocked in it. 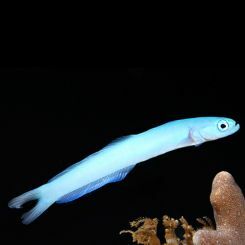 There are fish out there that don’t want to be exposed to very much salt at all, those fish are: most tetras, corydoras, and plecos. 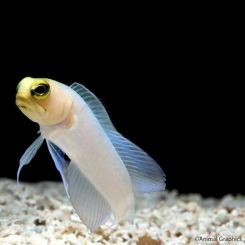 Most other fish actually do better having exposure to salt such as all livebearers, Mollies, platies, swordtails, guppies, angelfish, cichlids, all goldfish types, koi, and more. You’ll see results: Healthier fish with less of a need to medicate, better breeding and marvelous spawning results! 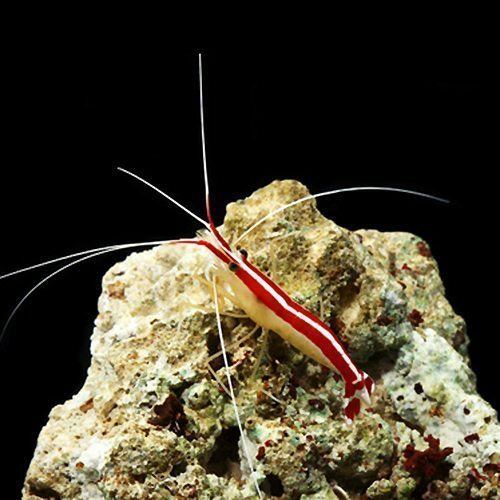 Marine Salt is also crucial for the success of many aquatic animals including crustaceans as it adds many more trace elements including Iodide which helps proper thyroid function, and also helps with the reproduction of a healthy outer skeleton on shrimp, called the exoskeleton, and will also help repair a damaged outer shell on snails. A very simple ratio of 1 level teaspoon of Marine salt once every few months for 20 – 30 gallons of freshwater will add just the right amount of salt to keep your animals healthy! tives? We use as few additives as possible within our organization, and these products are available herein. These products are used here daily and are extremely effective. Now obviously SALT is one of them, as well as a few others, such as Bacteria, Water Conditioners, Chemi-Pure and Fertilizers. Let’s talk about a couple of them in detail: We create & design commercial aquariums for public display and exhibition, and more often these customers do not have time to wait for cycling. They may need a tank built from a dry system to a running aquarium with plants and animals in 24 hours! 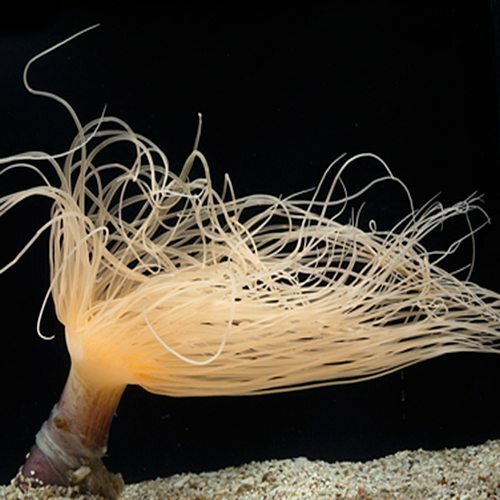 As part of any well-balanced aquarium, especially at start-up, we strongly recommend the use of bacteria monthly! These are amazing live bacteria that will help you cycle an aquarium properly without the need to wait for cycling a tank for 2 weeks or more and have the ability to add fish and shrimp, etc with minimal losses virtually immediately. There are many bacteria ‘jump-start’ products out there, but we know first-hand that these work! AquaGold powder form bacteria should be used at startup and 1x monthly thereafter. In addition, we love using the Stress Zyme Plus liquid bacteria along w the powder form bacteria for best results. 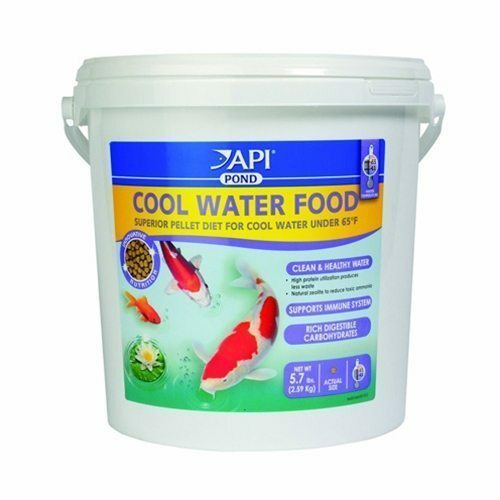 Next on our list of additives is waste adsorbing media products such as API Bio Chem Zorb, Chemi Pure, & Chemi Pure Elite These are fantastic products that you can simply drop into your aquarium filter to help polish the water and remove harmful chemicals, etc. that you could not otherwise even test for! 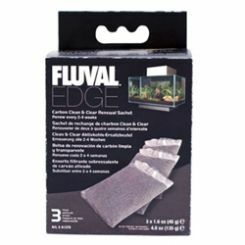 These media come pre-loaded in a mesh bag that you simply rinse and install into your filter, or in some cases, you can stuff into your aquarium under a rock or wood. You replace this small pouch about every 4 months. 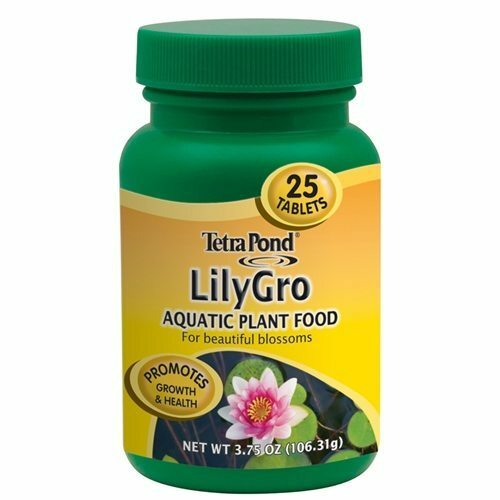 There have been many cases where we could not grow certain species of fish or shrimp, but when we used this product in a system, those animals did remarkably well! For brand new aquariums, buy the Original Chemi-Pure in the white bottle and replace every 4 or 5 months. 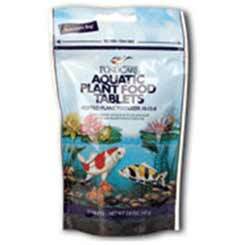 For established aquariums aged over a year, use the Chemi-Pure Elite in the Black jar. You may add both Chemi-Pure and Bio ChemZorb to your tank and use together. 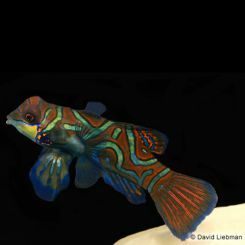 Often, many hobbyists will have water quality issues that they just can’t test for….issues that there may not be a test available or when all other tests come out perfect but you know there is still something wrong with your tank. 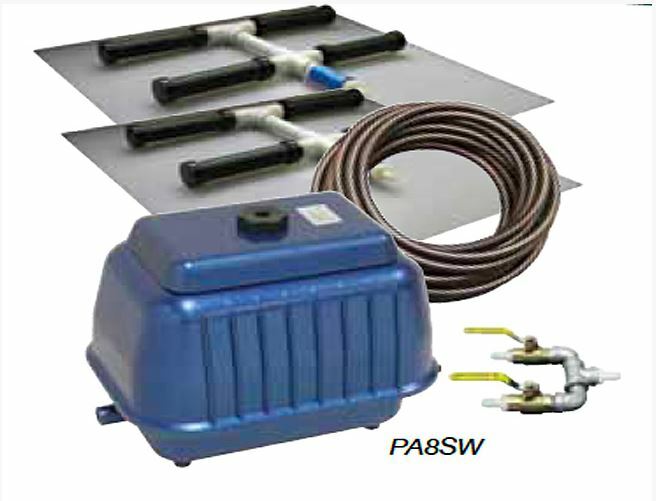 These are marvelous water polishers that can and will most often correct those problematic tanks. API Stress Coat, Kordon Novaqua Plus & Kordon Fish Protector – These are wonderful water conditioners that have a variety of Echinacea (will help build up the immune system of your livestock) Vitamin B’s, and also remove Chlorine. 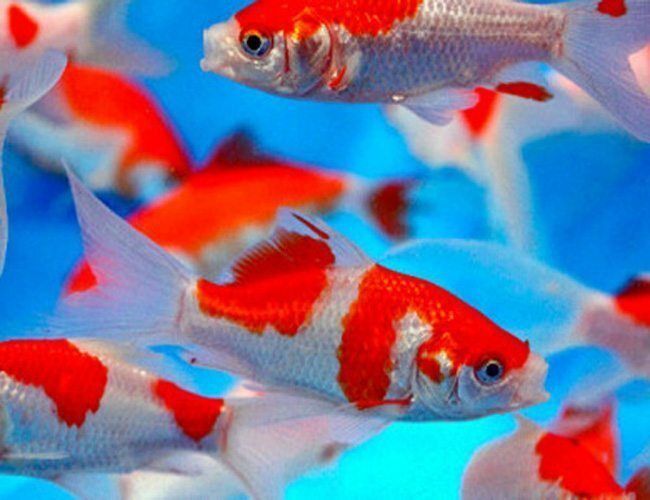 Chloramine, Ammonia, and help aid your fish from stressing out during partial water changes. 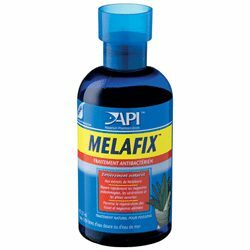 There are many other brand water conditioners out there that are comparable, but we like these because of the added supplements. Remember its okay to change water conditioner brand types from time to time they are pretty much the same. 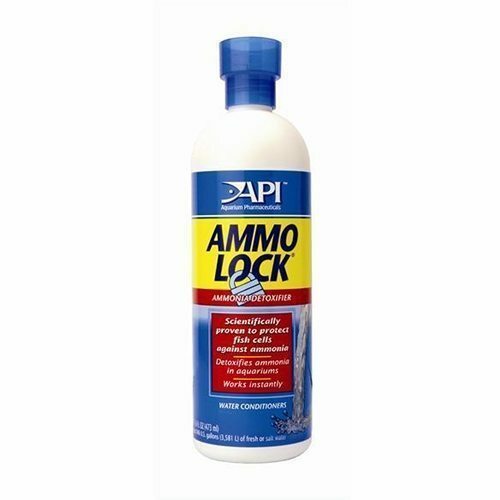 We have found an amazing Tap Water Conditioner by API that is extremely beneficial and highly concentrated, used on some of the worst water conditions made perfectly safe. Customers have reported outstanding results with this product. 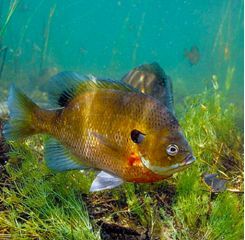 The Tap Water Conditioner is not a fish protector, it is only a water conditioner. Fish protectors help replace the slime coating that may be lost during new tank transitions, shipping, or stress. You would use Fish Protectors and Tap Wate Conditioners together for best results. 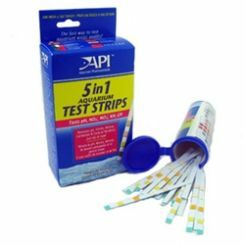 Using these products as part of your aquarium start-up and maintenance, could mean the difference between a successful tank and one that fails. 8. 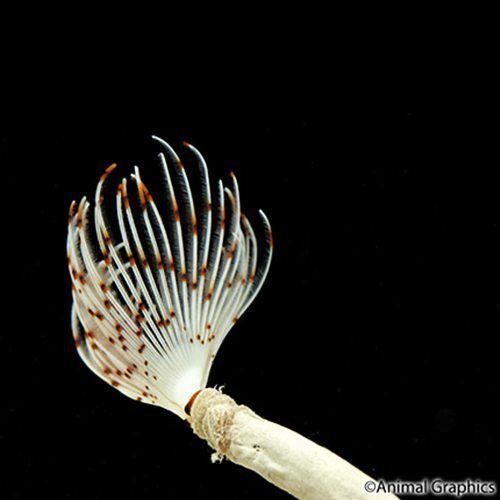 Plants/Animals – This is a very exciting part of an aquarium build. At this point, you already have your tank & your accessories, so maybe a way to help decide on what your tank will be stocked with is, perhaps pick a region of the world you want to re-create. 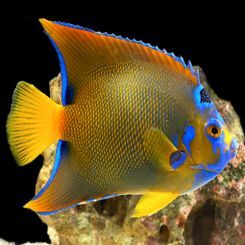 For example, maybe you want a tank that has Angelfish in it. 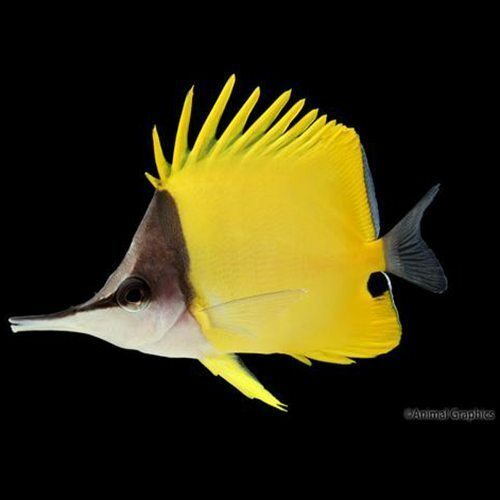 Okay, we know Angelfish come from Central to South America, so let’s build it with that in mind. Pick fish that will cover all the areas of the tank, schools of Tetras for the top, some Angel’s as your focal point in the mid waters, and a school of cory cats for the bottom. Perhaps a pleco for a specimen algae eater? Make sure your plecos always have wood to munch on as plecos need to chew on wood like a puppy dog would a rawhide. This will keep them very happy. 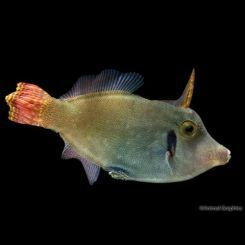 There are a lot of wonderful areas of the world to reproduce in your cube of glass, others may include an African Cichlid habitat, SE Asian Habitat, or Australian Rainbowfish Habitat to name a few. This is your tank, build it with things that bring you happiness! Stocking – Someone, somewhere, came up with a fish stocking formula of 1” per gallon. We’re not sure how this formula came to be, but it just does not fly with a planted aquarium, nor does it make any sense. Are you saying I can put an 8” fish in my 8 gallon tank? If it looks like you have too many fish in your tank, you probably do. More often though, most planted tanks are UNDER-stocked! Remember, planted tanks create so much refuge, hiding spots, shelters, territories, not to mention the plants consume so much more waste than in a tank that isn’t planted. Use your head, and draw your own conclusions. Plants! This is an incredible part of your tank’s habitat, and throughout our site you will see plants that have ‘native to’ info next to the names. This will help you pick out the right plants for your region selection. 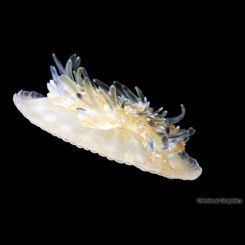 You can also refer to our Aquarium Plant Habitat collections link and choose plants from those lists, or purchase one of those packages. 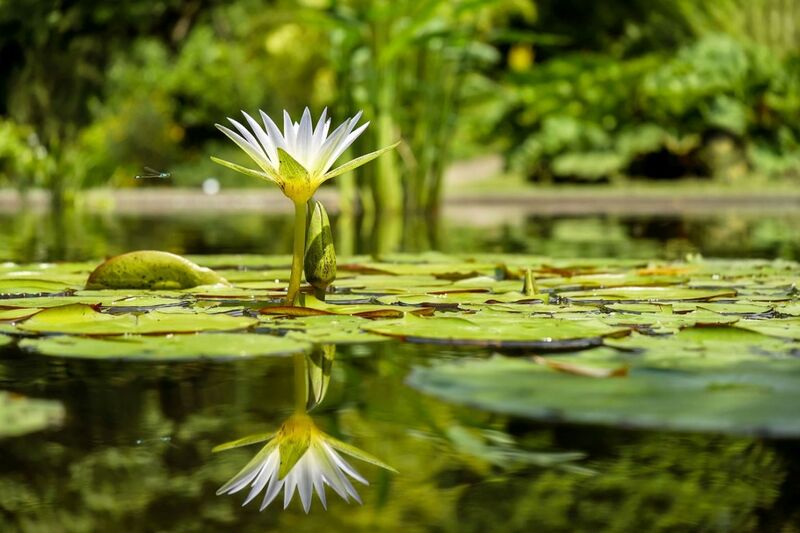 Obviously our company is a “plant company” first, and a fish grower second as we focus first on the plants and the habitats, and then choose fish last. Take your time picking out plants that will work best for your situation. Plant heavy! So many hobbyists don’t realize that ‘filler’ plants such as bunched plants, crypts, vals, and sag should be planted in larger groupings and not planted individually. Also, pick out groups of specimen/show plants like Swords, Anubias, etc in odd numbered clusters as these are far more attractive when planted as a group as well. 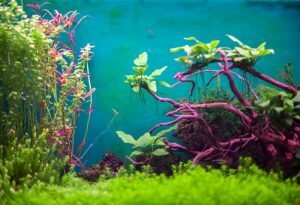 A densely planted aquarium will reward you with a happier natural biotope in the end, besides, our aquarium plants are extremely affordable, so don’t skimp when it comes to this part. 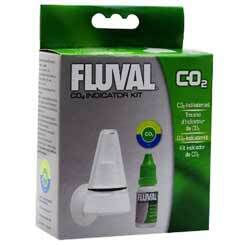 Having the correct lights (which we talked about earlier) and whether or not you have CO2 injection could mean the difference if your plants will thrive or not. 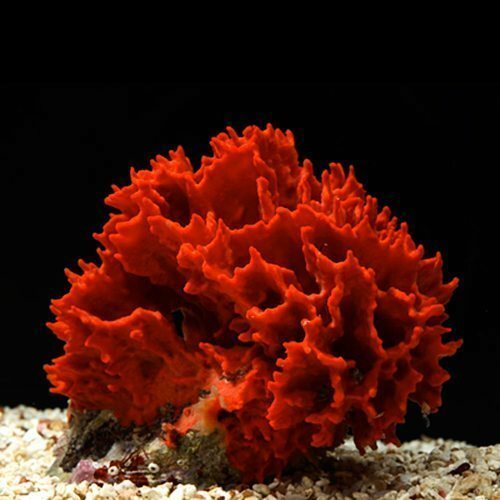 If you need help putting together an order of plants for your tank, just call or email us, this is our specialty and we can help you, but it is best if we know what your budget is, so we can accommodate your needs specifically. Snails Yes snails! You must stop thinking about those noxious little boogers that you may remember from the past that got into everything and ate all your plants! 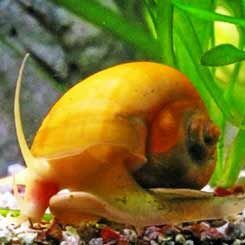 We are talking about our very own Algae Eating Olive Nerite Snails. 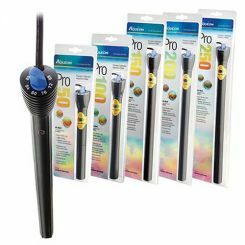 These are a gift from heaven and an absolute mandatory item we use in every single successful aquarium, pool and pond we have! Use 1 per gallon, and plan on replacing them every 2 to 3 years. 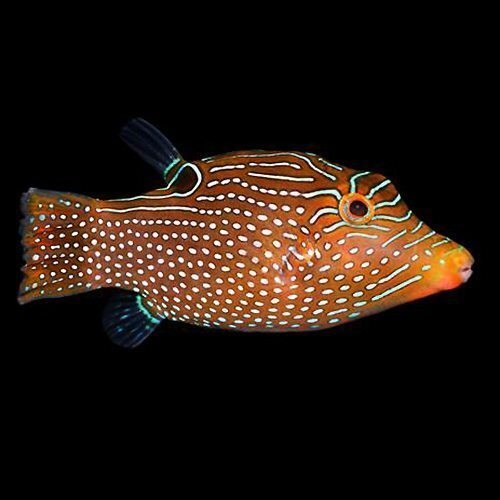 They won’t eat your plants, they do NOT reproduce in freshwater (only perfectly balanced warm marinewater) and they will lick every inch of your tank clean! The only drawback is they may lay some small eggs in your tank from time to time that look like little pretzel salt, but the eggs won’t likely hatch and will eventually dissolve. Many fish will just eat the eggs. 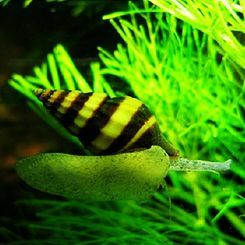 Unless you truly enjoy scraping algae off your glass and plant leaves, don’t build a tank without these snails. You will thank us in the long run! 9. 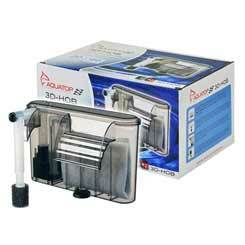 Timers – If you don’t have your aquarium lights on a solid 12 hour increment timer, you’re in trouble. You MUST get this corrected now. No more of the “Oh, I turn the lights on when I wake up, and then turn them off when I go to bed” business. What do you do when you go on vacation? What do you do when you’re home sick? What about the days you are running late and just plain forget? This is not an effective way to keep an aquarium. Putting your lights on a timer will change your life and will make you a better aquarist, period. Light timers are cheap and there are even light timers that you can have multiple accessories running on just one timer. Creating a light schedule: Here’s a tip. If you typically go to bed at 10pm, then set your light timer to turn on at 10AM and off at 10PM. Many people like to have lights turn off after they go to bed, and especially for those of us that like to entertain on the weekends, you’ll want to have your lights on much later, so the lights on at Noon, and off at Midnight is one of the most popular times hobbyists use! Filters – Now let’s talk about Filters on timers. This is something our company has pioneered for years. Putting your HOB filter, Air Pump, etc on a timer to turn off everyday for an hour at the 6th hour of its programmed light will be extremely effective in allowing better absorption of CO2 during the peak hour of photosynthesis. Example: If your lights turn on at Noon, and turn off at Midnight, your peak photosynthesis occurs at 6pm until 7pm, so your filters/pumps that create surface disturbance will be on a timer to turn off at 6pm and right back on at 7 or 7:30. Example B: If your lights turn on at 5am and off at 5pm, your peak photosynthesis time is at….11am until 12 or 12:30pm. Now you get it. Did you know: that by turning off your filter for this short 1 or 1.5 hour period of time, you are allowing your pump to have a cool-off period everyday and ultimately extend the life of that accessory! 10. 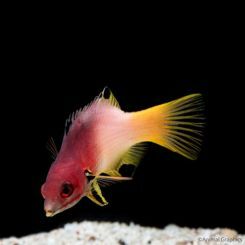 Feeding -This is an important subject that will put to bed more ideas that many aquarists have come to erroneously learn. Now our practices are based on fully planted aquariums, so let’s make sure you understand this up front. Secondly, we feed our fish about 2 to 3 times per week. The reason why is because we use a wonderful food called New Life Spectrum. 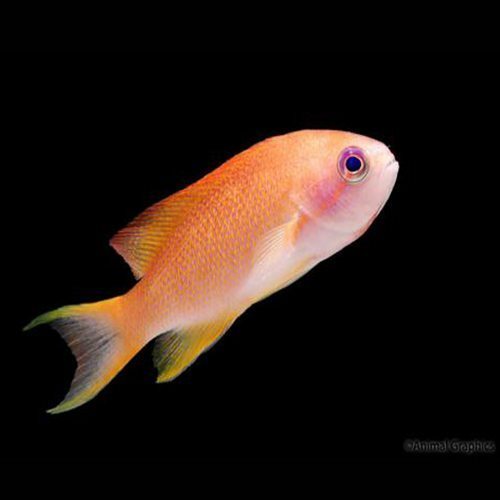 The NLS foods creator Pablo Tepoot happens to be a world renowned cichlid breeder that has nothing to gain by cutting corners or creating foods anything less than perfect. His company has mastered fish food manufacturing and has instilled our company to use his foods exclusively for the past couple decades. We receive no compensation for promoting of his products. The truth is that we have been growing many species of fish and shrimp that we could not get to reproduce, until we changed their diet to the NLS brands and then we started seeing some miraculous results! Now that we have talked everything up, let’s talk about why using a good food is so important and why having those umpteen different jars of food is now, no longer necessary. We often tell the story of sending your 6 yr, old kid to school with a full belly of some fruity sugary cereal. Of course they’ll eat it because it tastes great, but unfortunately that food that is a SIMPLE SUGAR and is metabolized quickly in the body. So, you send your kid to school, they have a huge sugar rush, and by 10am they are starving, and in your lunch that you packed for them is….more simple sugars…i.e. White bread, sugary juices, and potato chips. It’s no wonder when our babies come home from school they act like they are literally starving at 2:30. Now, had you sent your baby to school with a COMPLEX CARBOHYDRATE breakfast that is metabolized much slower by our body, example: Oatmeal, Honey Nut Cheerios, etc, by the time they get to lunch they are ready to eat, but may not be AS starving, as well as providing a lunch with whole wheat breads, corn chips, or whole wheat crackers, fruit, applesauce, etc. Our point is…feeding flake foods is like feeding that sugary cereal! Of course, your fish love it, it probably tastes great to them, but unfortunately it is not a complex carbohydrate and that simple sugar food requires multiple feedings throughout the day to keep your fish happy. The NLS foods are like feeding your fish a healthy breakfast of Oatmeal! It is metabolized slower, it is purely healthier for your animals, and NLS guarantees you’ll see a healthy difference in your fish within 10 days or your money back. Now, there are dozens of other reasons why you would feed NLS foods, such as the High Amount of Vitamin B Complex Vitamins, Amino Acids and other natural ingredients like Spirulina, Krill, even Lobster Meat, etc., but to us, this products has meant success! That is why this is our main staple food for all of our animals! 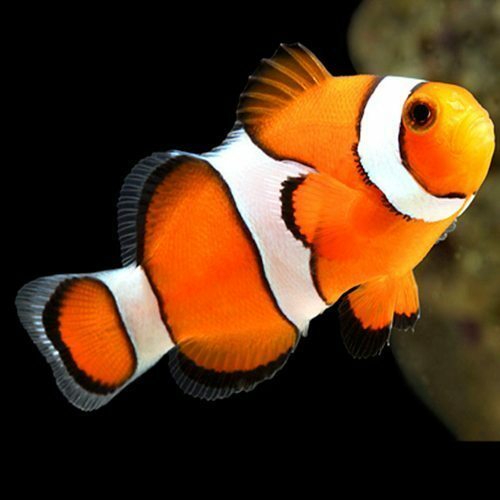 Maintenance – Owning an aquarium is exactly like owning any other pet, so it will require maintenance! The use of timers for your lights, and the use of better foods will keep it healthy, let’s not forget that having a planted tank is exactly like creating a mini biotope in a cube of glass, so all of these things will help you keep a healthier aquarium naturally, but you will need to dedicate some time to it. You need to stay on top of your water changes. Vacuum your gravel periodically, take apart that canister filter, and spray it out on the driveway, etc. The tips above are here to help you. The mistakes we’ve already made have taught us to be better, wiser fishkeepers & spectacular plant growers!